The first split is for the first mile. The 2nd split is the approximate 2nd mile split based on time posted as 2nd split. The last split time is for a distance just a bit short of a mile. I will post data shortly with the top performances by NorCal athletes/teams at today's meet. In the meantime, please feel free to discuss the meet and anything that stood out for you today. If you are interested in me posting specific data, please let me know as well. Misc. lists courtesy of Hank Lawson including co-ed results, top CCS, top NorCal and top NCS. You can find results at the link below. 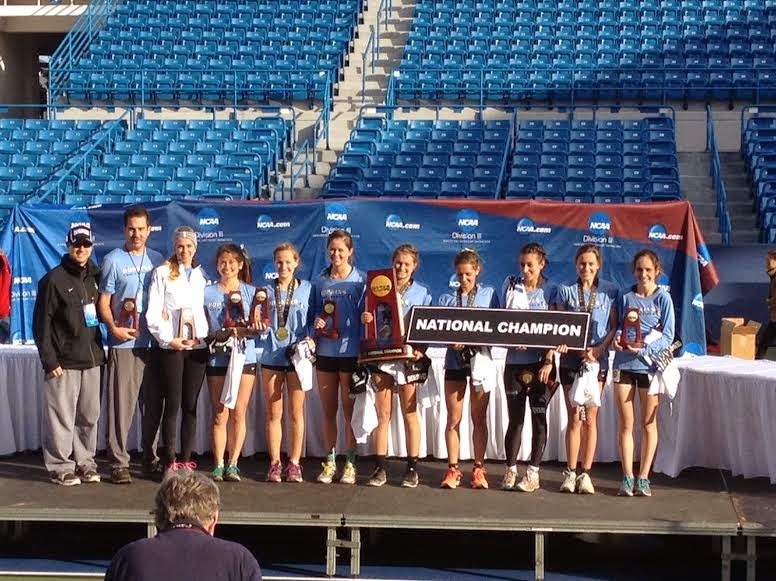 Lots of former Northern California runners in the results including Bridget Gotltieb (Monta Vista '14/below far right) who was the 5th runner for champion, John Hopkins University. How many former NorCal runners can you find in the results and what high schools did they attend? 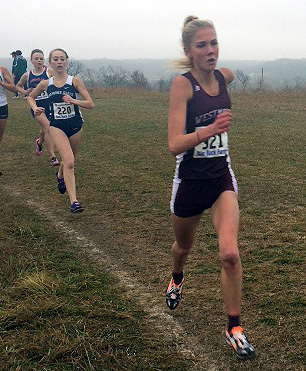 In results, Maya Weigel (Mt. View HS '13) in 22nd place (All-American). Thanks to Walt Lange. Some great shots from above with a drone.